Last chance to play Goliath! There are just two more starting flights for this year’s Goliath which is set to be the biggest yet! Make sure you have a room! Record numbers are attending the event so do sort out your hotel accommodation soon. We still have rooms including Holiday Inn, Citrus Hotel and Mercure. 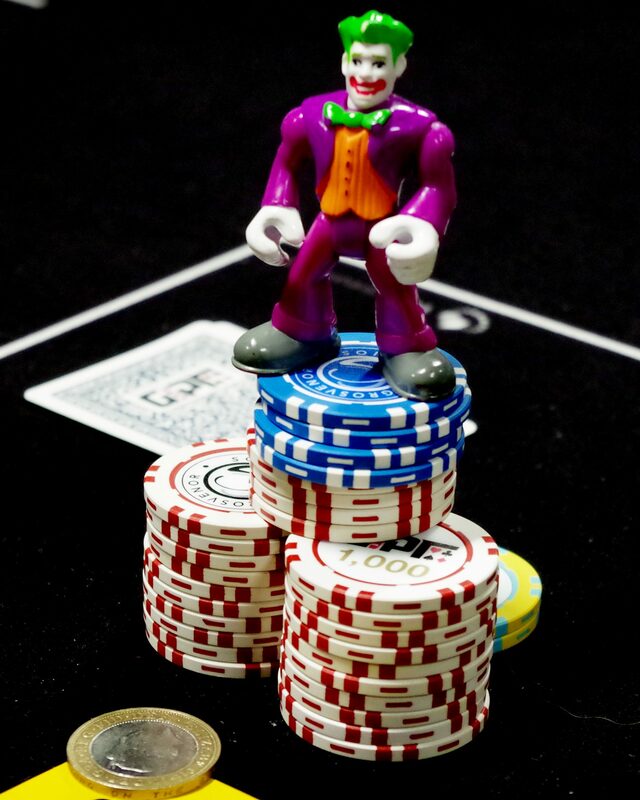 Grosvenor Poker is already celebrating gigantic fields in the five Day 1s that have taken place with nearly 3,700 entries. Yesterday’s Day 1e field was the second biggest yet with a staggering 827 entries. There are still two more start flights to go but tomorrow’s your last chance to play in the biggest live poker event outside of Las Vegas. 2016 saw a record-breaking 5,232 entries to the Goliath Main Event, creating a prize pool of £523,200 and first prize of £70,000. Yesterday’s Day 1e chip leader was Richard Cullens with 507,500. Others who made it through include Kully Sindhu on 283k and Jonathan Weekes with 125k. Grosvenor Poker Ambassador Joe Beevers has made Day 2 for the first time after playing 105 Day 1 levels last year and failing to make the cut. Fellow Ambassador Jeff Kimber is also through but Katie Swift, Will Kassouf and Andy Hills are still trying. The current chip leader is still Bogdan-Marius Aprodu who faced a giant field of 882 entries on Day 1a but emerged with a 745,500 stack. Reaching the 6,000 target will also see the prize pool hit a staggering £600,000. That’s plenty of life changing prizes on offer, particularly as many players will be there for an investment of just £120 – or in the case of the many satellite winners, even less. The Goliath has seen considerable growth each year since the very first event back in 2012, with entry numbers rising from 1,954 in 2012 to 5,232 in 2016. We advise all those planning to play Day 1G tomorrow to pre-register or play Day 1F today. Both days are quickly selling out. We also advise players to make sure they have a hotel room booked.